When encouraging a new reader, it's important to find books that fit the child. Book Aunt wrote a great post a few weeks back about choosing the right books, if you are looking for specific tips. I've noticed that my daughter has definite preferences when it comes to books she wants to read independently. She loves books about baby animals, especially kittens, and she also gravitates towards books with a little girl as the main character. 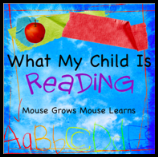 We recently stumbled upon an I Can Read! book series by Lola M. Schaefer about a little gray kitten named Mittens. 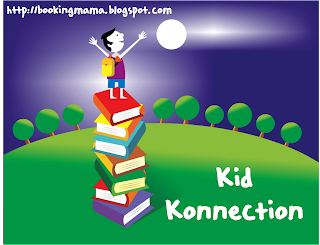 The books are "My First Readers" and are on the easier side of the beginning reader levels, perfect for preschoolers, kindergarteners and emergent readers. She adores this series because a). a cute little kitten is the main character and b.) she can read the books herself without any trouble whatsoever. We own all four in the series, and they've been in her book rotation all week long. The books remind me of the popular Biscuit series books, except, of course, they are about a cat instead of a dog. The illustrations are similar in style to the Biscuit books and the reading level is about the same. My daughter wishes that Mitten's owner was a little girl instead of a boy. A favorite from the library this week was Shadow by Suzy Lee. Shadows are on our mind lately as we enjoyed a few sunny days last week and could see and chase our shadows outside. Some kids are scared of shadows in rooms. Others imagine them as fabulous playmates. In this nearly wordless picture book, a little girl plays by herself in a cluttered storage room with an overhead light. All the items in the room cast shadows onto the opposite page. With a little imagination, shadows turn into exotic plants and various creatures. A slightly scary fox shadow crosses over from the shadow world into the little girl's world. She escapes and eventually the two worlds combine. It's a fascinating, discussion provoking book about an imaginary adventure and one you have to see for yourself to fully comprehend. 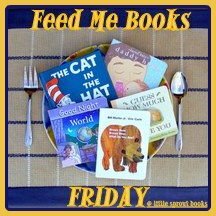 Link up your weekend book posts at What My Child is Reading at Mouse Grows, Mouse Learns, Feed Me Books Friday at Little Sprout Books, Kid Konnection at Booking Mama and/or Mama, Read This One at The Shopping Mama. The Mittens books look so adorable! A great way to get younger kids reading. Oh! Mittens looks like it would be a perfect fit for my youngest! I'm going to check out some of these Mittens books because Booking Son is starting to read! We've read some of the Mittens books - the illustrations are lovely. Thanks for joining WMCIR! I'm definitely going to check out the Mittens books. Thanks for the recommendation. I think you're right about our girls being around the same reading level and M loves cats! They all sound like great books. I'll have to check them out. Have a great day! Awesome! Thanks for sharing. My daughter would love this. The April I Can Read Carnival is up! Thanks for contributing! I'm going to have to add this whole series. Is it paperback, or hardback? Biscuit is nice because it is hardbound. Which is probably more important to a library, then to a reader. Yeah! A new series for new readers. My animal-lover is past these, but I have a couple other readers in mind. And Shadow is really cool, isn't it? My older daughter loved the Biscuit series when she was learning to read, so we have a bunch of Biscuit books already. We may need to try the Mitten series out when my younger daughter starts reading. Thanks for introducing it to us!